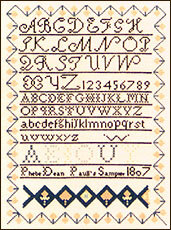 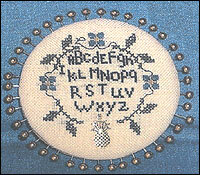 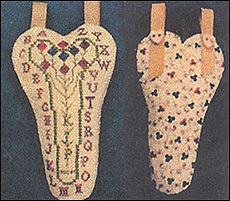 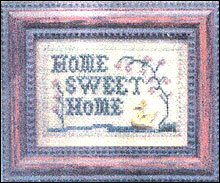 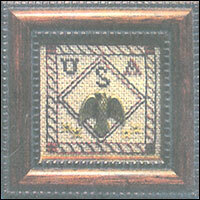 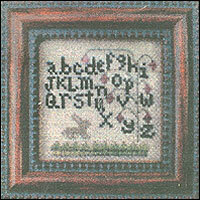 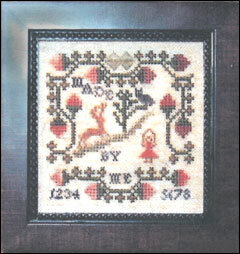 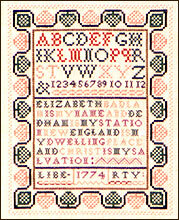 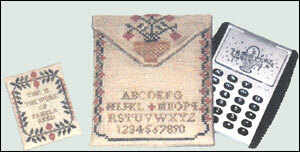 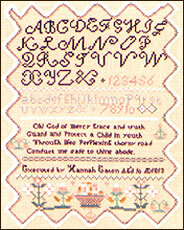 Olde Colonial Designs has produced wonderful little kits, most of which include everything you might need, from linen and floss, to charms, and even frames. 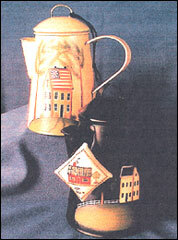 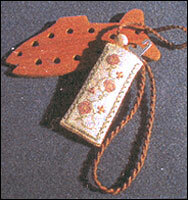 They are beautifully detailed items. 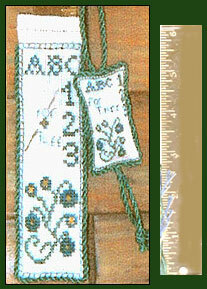 Measurement given on frames is the outside dimension. 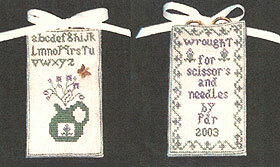 Scroll down to view the kits. 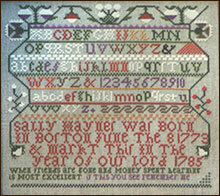 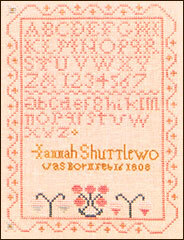 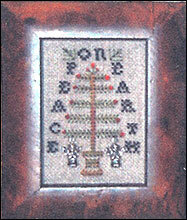 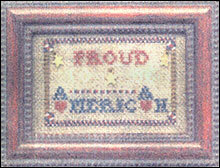 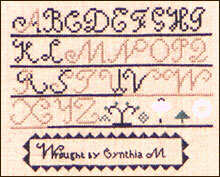 A tiny silver sampler, .75 by 1.25"